The most famous effect of the ’70s was the Roland ‘Dimension-D’. This classic detune effect will instantly add a very special flavour to anything you add it to. Based on the famous Roland SDD320 – ‘Dimension-D’ released around the late 70′s. 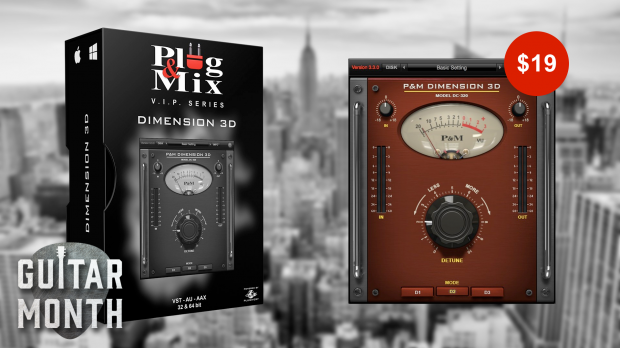 This unit adds the highly sought after detuning effect heard on countless classic rock records and that continues to be used on modern club tracks. Detune – Gives you less or more of the classic detune effect. Selector buttons – Choose between D1, D2 or D3 for 3 different levels of chorusing. This entry was posted in DontCrack, Plug & Mix, Plug-ins, Promotions and tagged 70's effects, 70's sound, chorusing, detuning effect, Dimension 3D, Dimension-D, Plug & Mix, Plug and Mix, Roland SDD320. Bookmark the permalink.